The kicking height can be calculated or found visually. While many biomechanical concepts are best calculated, the safe height of a kick is best determined visually. 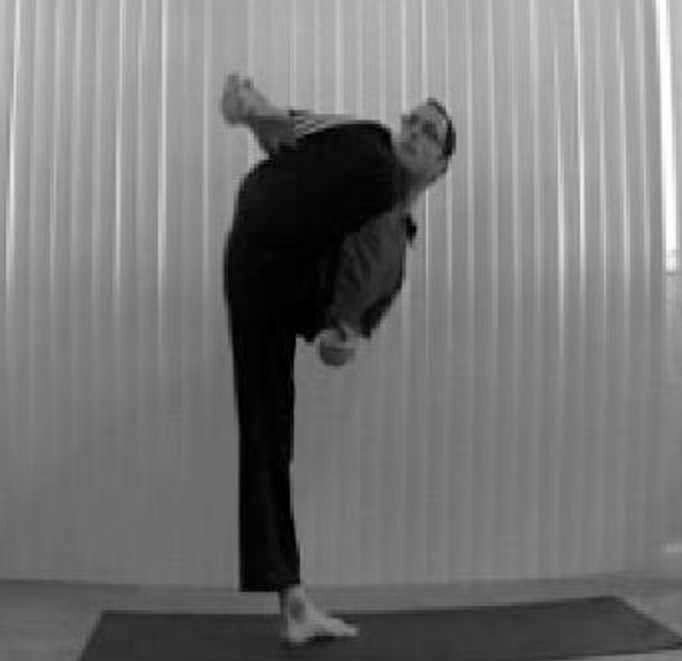 The kick’s range of motion is determined by the supporting leg. The range of motion of the kicking leg is about 45 degrees in most people and is restricted anatomically. To calculate the supporting leg height, lay down on the floor and lift the top leg up with a turn out. Measure that angle. (Completely vertical leg is 90 degrees). Next add that value to 45 degrees. 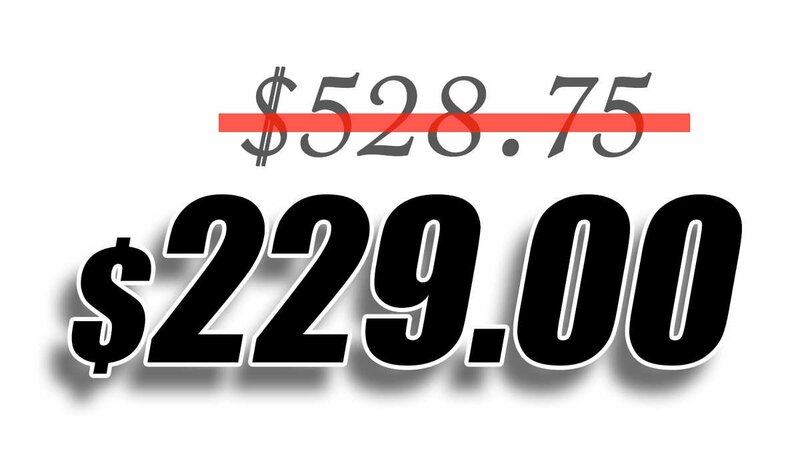 The total number is the passive range of motion for the kick. There are several issues with measuring passive range of motion and transferring it to the kick. If the pelvis tilts laterally, less than 45 degrees will remain. In that case the kicking leg will have less than 45 degrees to add to the ROM of the standing leg (which is measured with a turnout). To get proper calculations one must be very careful, to keep the pelvis stabilized. Even if the passive angle is calculated correctly, active flexibility is not equal to passive flexibility. The final angle must be converted to the kicking height. While this is not a problem with basic calculations one has to take into the account leg length, which differentiates from individual to individual. Visual safe height is measured by three tests. If you can do at least 2 of those tests to a specific height, you can safely kick to that height. Kicking above that height (even if possible with momentum), comes with loss of control over joint position. Doing so increases the risk of injury. Do You Want FAST Mastery of Your KICKS? 3-4 years of Training, You can Master in 5-6 Months! Or... Do you Prefer the Standard Method..? If you are open to a new method... Read On! AND how it does it! So first here is what this method of kick training is known for. I know you want to kick with speed, power and height. Every Kicker Does.... What have you been doing so far to achieve it? PLEASE don’t tell me “just kicking” and hoping something will click somewhere and it will work one day. You MUST train a sequence that develops SPEED! you MUST train a progression that develops KICKING HEIGHT, etc, etc. The worst thing you can do is.... “just keep kicking"
and I also those with 30 years of "just kicking" experience under their belt. NEITHER have developed any top-level qualities in their kicks. However, after I showed them how to train for a specific quality of a kick, it took them just weeks. YOU READ THAT RIGHT, just weeks to improve their kicks like they could not in years. One Quality at a time, not all qualities all together. This means that I can NOT get you speed, focus, power, control, endurance, height, etc., all of them in the same few weeks. I can only guarantee of those qualities ONE AT A TIME. You master, them in a sequence. So, if you are hoping that you will master all in 10-20 days. Please go on and keep “just kicking” my program is not for you. Complain That They Did Not Achieve Their Results Fast Enough. Now briefly, I will tell you who I am and what I do. I See Martial Arts Training From A Different Point of View. The same as a doctor sees a human body differently than a lay person. Or a mechanic sees a car differently than a regular driver. For this reason, I see the speed development of the kicks differently from height development, and power mastery progression completely different than focus training and so on. 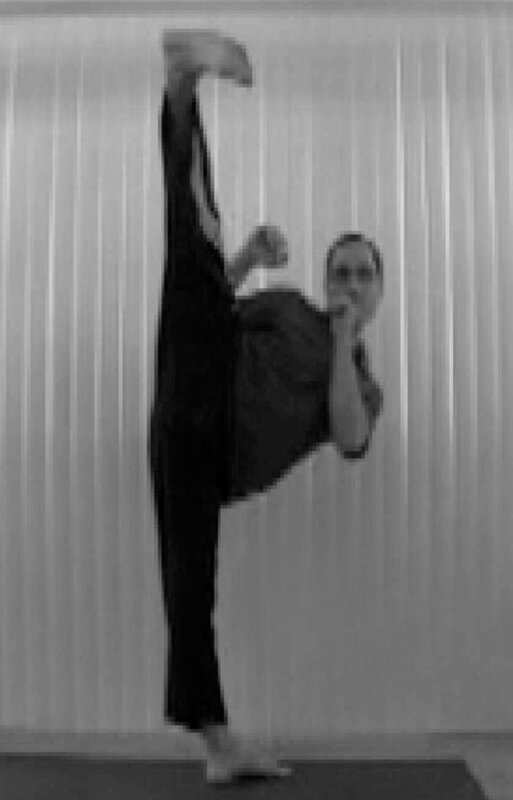 Each quality of the kick has a different unique, short training path. After you train with my method, you will begin to look at kick training with a completely different outlook at as well. I am a life long martial artist. (34 years in martial arts, in 2018). My education is in Kinesiology. researching and teaching kinesiology for 21 years. I have always applied much of my research to Martial Arts. a completely different point of view is seem in my mind, compared to most people. 30 years of Martial Arts experience and indepth knowledge of the human body, now offered to YOU in 20 chapters. Very Short and to the point and very easy to understand and follow routines for basic kicks. Each routine designed for quick mastery of a kick and a chosen quality. And Many Many More Of course. 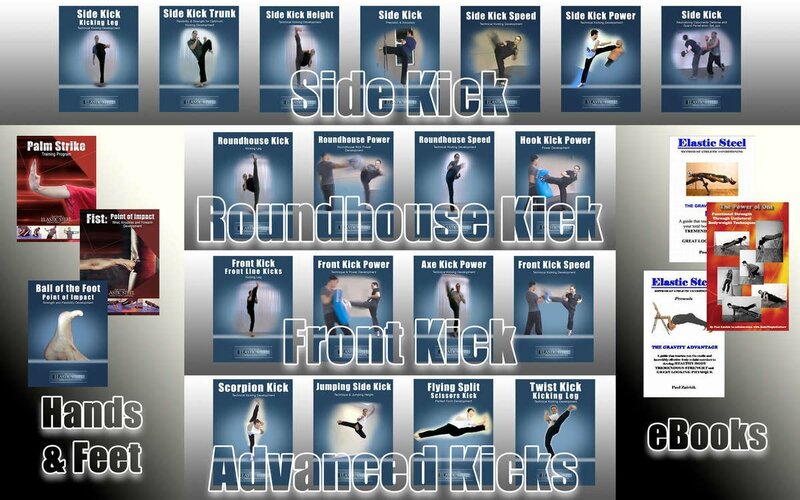 Routines to master advanced kicks as well. (Flying side kick, Scorpion Kick, Flying Side Kick, Flying Two Direction Scissors kick). But if you don’t know anything about me, you probably find all this too good to be true. of some “new method” I just discovered. Can this really help me? I hope you are skeptical. The more skeptical you are the more you will enjoy the results. And more likely you will tell your friends about them. That’s how word of the mouth works. 20 Kicking Programs! Plus many extra bonuses. I Am Going to Include THREE GIFTS For You When You Order This Kick Combo. whole body strong and functional. Gravity Advantage - Upper body Training for Martial Artist without any equipment. (Full complete upper body routine, hitting every muscle). Gravity Advantage Max - Upper and Lower Body Routines. (To strengthen every muscle in the body, upper and lower, using specialized exercises). “not with two legs and two arms doing the same movement” – real life is not a gym. How much is all this! A specific video focusing on functional kick training. So are you going to keep wasting time?.. and say “I wish I got your programs earlier! avoid redundant injuries and waste time? ... only to come back to me many months or years later and get this program anyway? And wish you, actually started training, as soon as you learned about this information? Are you going to continue wasting your valuable time without meeting your goals of having excellent kicks? 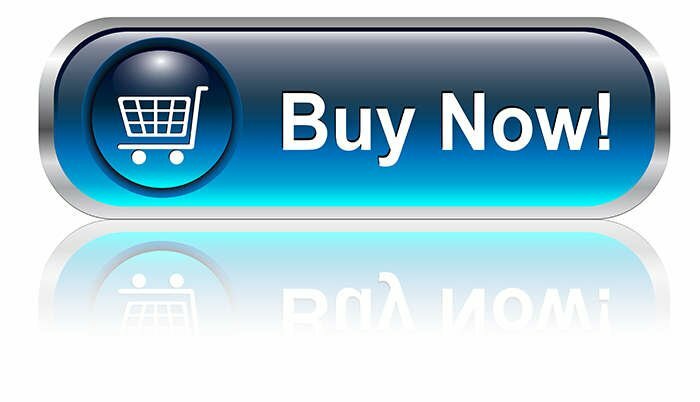 Or are you going to make the right decision and get this very valuable bundle right now? If the answer is “yes” then stop wasting even more time. Get this program and start training tonight! So that in a few weeks’ time you can join the ranks of ElasticSteel MASTER KICKERS, show off your skills and be at the top of your game. And when you do improve your kicks send me a note about your progress, I’ll be happy to know that you truly are becoming a MASTER KICKER.